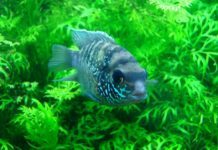 Midas Cichlids are known to be aggressive and need to have a big aquarium because of their large size. They are a strong fish and can break the walls of a tank. The scientific name for the Midas Cichlid is Amphilophus Citrinellus and it belongs to the cichlidae family. Its natural habitat is the lakes and rivers of Costa Rica and Nicaragua. The Midas Cichlid will eat small fish, snails, plant material and almost anything that can fit in its mouth. The Midas Cichlid has orange and white blotchy skin with a very pronounced hump on its forehead. 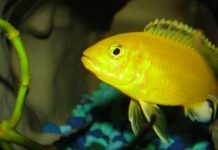 The Midas Cichlid is one of the largest cichlids and can grow up to 18 inches in an aquarium so a tank of at least 100 gallons is required to keep two fish. 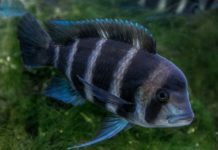 A very thick glass is needed because Midas Cichlids can get aggressive and are capable of breaking an aquarium. The water temperature in the tank should range from 68 to 82 degrees F.
The PH should be 7 to 8. The ideal hardness should range from 4 to 20 GH. Alkalinity should fall between 2 to 23 KH. Midas Cichlds will eat any aquarium foods, such as live foods, freeze dried foods, flakes and fresh vegetables. Beef heart and live worms also seem to be a favorite of these cichlids. The aquarium should have rock caves in order to provide hiding places and to help reduce aggression. Plants are optional. Midas Cichlids like to move the decorations in the tank. There should be a thicker than normal substrate at the bottom of the tank because it will help provide a cushion for the rocks if they get moved around. 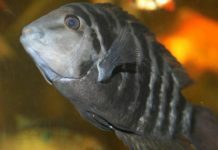 These fish are very aggressive and it’s not recommended to keep other fish in an aquarium with Midas Cichlids. There may be some success with keeping other fish in the tank if all the fish were raised together. 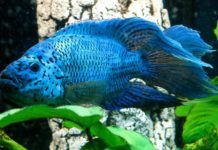 Even if all fish are compatible, it is important to have a large tank and numerous caves to ensure each fish has its own territory. 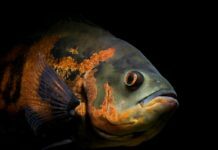 It is possible to breed Midas Cichlids but aggression can pose a risk. A very large aquarium is needed because these fish become more aggressive during spawning and egg guarding. 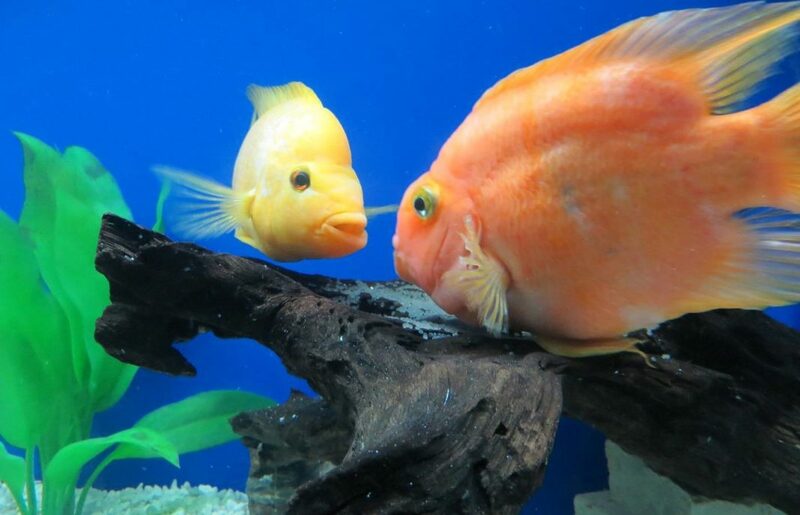 Midas Cichlids offer great parent care so it’s best to leave the fry in the same tank fish with their parents. 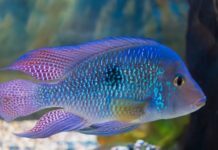 They can grow up to 18 inches so a large aquarium is needed. 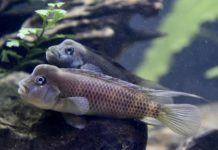 They are very aggressive and should not be kept in a community tank. They are capable of living as long as 15 years so be prepared for long-term commitment. They love to redecorate the aquarium so there is a risk of rocks breaking the glass. 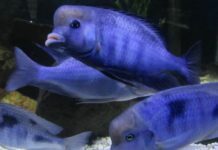 I’m making a pair of hybrid cichlids I call the (RED PHEONIX KING CICHLID 👑) they will be South and Central America the male grows up to a large 28 or 32 inches the female 20″ and are extremely extremely extremely extremely extremely aggressive/territorial/quarrelsome and predatory I will add citizen cichilds like 4 firemouth cichlids with and 5 eartheater cichlids. On the right side of the tank it will be dark with purple coral and a cave with 1 single male kraussii cichlid.